We’re excited to have reinvented how painters find information online. We’ve been working hard and innovating for years to reinvent how painting gets done. We created a trustworthy, comprehensive, and growing database of painting expertise. Now you can take advantage of this growing wealth of knowledge. We’ve invented a new way for you to learn about painting and get useful and trustworthy information when you need it most. No more scouring the internet for information that may or may not be relevant or reliable. Jack Pauhl began with the realization that it’s hard to find straightforward, trustworthy answers to painting questions. When we find painting information, it’s often generalized, repetitive, and rarely relevant. Even if it might be useful, it’s hard to know if it’s trustworthy. 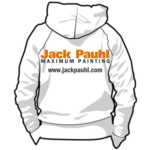 We created the new Jack Pauhl platform to provide a solution to this big, big problem—to make finding useful, reliable information about painting fast, and easy. We’ll stop at nothing less than changing the industry—for you, and for good. The new platform allows Pros to use the platform’s network to broadcast a question to other Pros. Sound ambitions? It is. And we love it! We're excited to see you grow with us.